We are pleased to announce the keynote speakers for ASI 2016! Building on recommendations specific to child and youth mental health from the Mental Health Strategy for Canada, Ed Mantler will stress the importance of mental health as key to a healthy society, and explore the need to understand the social determinants of health in the context of building early childhood protective factors. Ed will outline the importance of access to coordinated, evidence-based services across the continuum – mental health promotion, prevention, and intervention. He will also focus on the impact of stigma on mental health and the need for school- and community-based programs and initiatives that build resiliency and mobilize young people to become advocates for mental health and against the discrimination of people living with mental health challenges. Known for his collaborative and facilitative leadership style, Ed’s experience as a senior administrator in mental health services settings, as well as acute care teaching hospitals, informs his ability to create change, solve problems, and inspire innovation. A highly motivated visionary and an expert at building partnerships, fostering stakeholder engagement and aligning strategic objectives, Ed has led innovation and improvement in health care for over two decades. 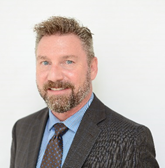 As Vice President of Programs and Priorities at the Mental Health Commission of Canada, Ed strives to promote mental health in Canada and change the attitudes of Canadians toward mental health problems and mental illnesses. Ed’s leadership fosters work with stakeholders to improve mental health services and supports, with particular focus on the ongoing development and implementation of innovative programs in Mental Health First Aid, Reducing Stigma, Psychological Health and Safety in the Workplace, and promotion of the Mental Health Strategy for Canada. Prior to joining the Commission, Ed has held a number of executive positions including CEO of the Physician Recruitment Agency of Saskatchewan and Senior Operating Office of the University of Alberta Hospital. As an Accreditation Surveyor with Accreditation Canada, Ed contributes to quality and safety in health care across Canada and internationally. Ed is a Registered Psychiatric Nurse, holds a Master’s of Science Administration, and is a Certified Health Executive. Indigenous Culture is the foundation for mental wellness. The First Nations Mental Wellness Continuum Framework offers a comprehensive model and measurable outcomes for investing in the wellness of First Nations children and youth. Carol Hopkins is the Executive Director of the Thunderbird Partnership Foundation, an organization whose mandate is to support Canada’s First Nations Mental Wellness through implementing national frameworks designed to address substance use and mental health issues. 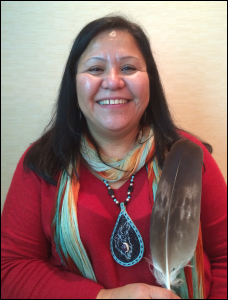 Her strength in the health profession is the ability to translate western and Indigenous knowledge for informing competent and responsive mental wellness practice and systems. In this regard, Carol has taught for various postsecondary institutes, including Anishinabek Education Institute, Native Social Work program at Laurentian University and currently is a Professor in the Social Work Program at Kings University College of the University of Western Ontario. She holds a Masters of Social Work Degree from the University of Toronto. Carol has received the Walter Dieter Award from the Assembly of First Nations in recognition of academic achievements made in the field of Social Work. Most recently she is the recipient of the 2015 Champions of Mental Health Award in the category of Researcher/Clinician and the Deputy Minister, Health Canada, Innovations Award, as a member of the team leading the development and implementation for the FNMWC framework.